The New York Times bestselling author of Mrs. Lincoln's Dressmaker returns with a riveting work of historical fiction following the notorious John Wilkes Booth and the four women who kept his perilous confidence. The world would not look upon his like again. John Wilkes Booth-driven son of an acclaimed British stage actor and a Covent Garden flower girl, whose misguided quest to avenge the vanquished Confederacy led him to commit one of the most notorious acts in the annals of America-has been the subject of scholarship, speculation, and even obsession. Though in his plot to assassinate President Abraham Lincoln Booth did not act alone-"I am determined to be a villain," he tragically prophesized on the occasion of his acclaimed 1862 New York City debut in the role of Richard III-he is often portrayed as a shadowy figure, devoid of human connection. Yet four women were integral in the life of this unquiet American: Mary Ann, the mother he revered above all but country; his sister and confidante, Asia; Lucy Lambert Hale, the senator's daughter who loved him; and the Confederate widow Mary Surratt, to whom he entrusted the secrets of his vengeful wrath. 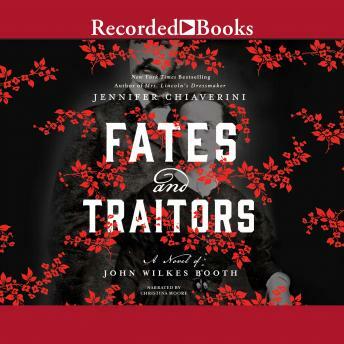 In A Memoir of the Assassin John Wilkes Booth As Told by Four Ladies, New York Times bestselling author Jennifer Chiaverini renders for the first time as fiction the compelling interplay between these pivotal actors-some willing, others unwitting-who made an indelible mark on the history of our nation.